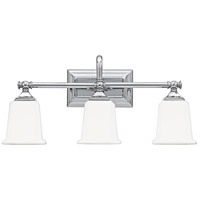 The Cloverdale Collection is a simple statement that packs plenty of design punch. 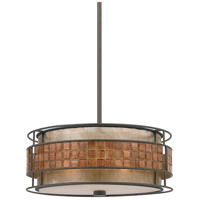 The textured shade treatment and Mottled Cocoa finish provide aesthetic interest without detracting from surrounding décor. 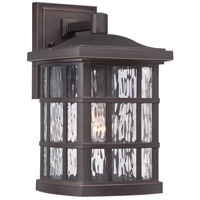 Q Is the diffuser plastic or glass? 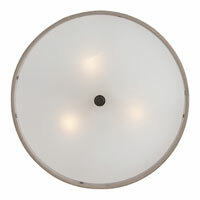 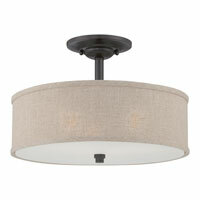 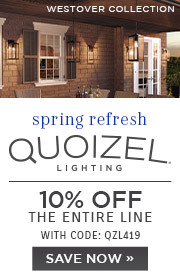 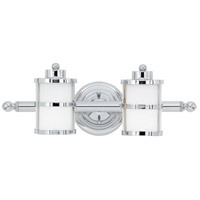 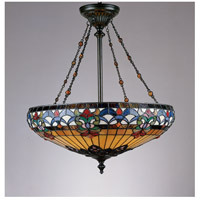 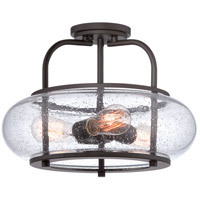 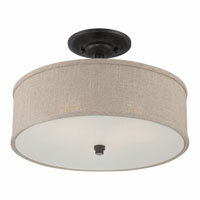 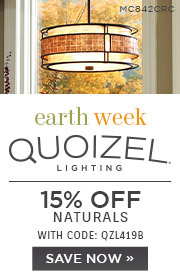 A The Quoizel Cloverdale 3 Light Semi-Flush Mount CRA1717MC diffuser is made of glass. Q Can this light be installed on a sloped ceiling? 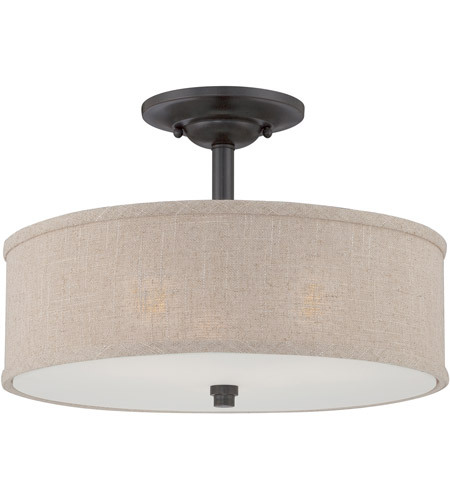 A No, the Quoizel Cloverdale 3 Light Semi-Flush Mount CRA1717MC cannot be installed on a sloped ceiling.